•	The Cabinet has approved the merger of Vijaya Bank and Dena Bank with Bank of Baroda. •	The move will help create a strong globally competitive bank with economies of scale and enable the realization of wide-ranging synergies, leveraging of networks and low-cost deposits and substantial rise in customer base and operational efficiency. •	The scheme will come into effect from 1st of April this year. •	The pay and allowances and services of the employees of all three banks will remain same as earlier. •	As many as twenty-three goods and services, including movie tickets, TV and monitor screens and power banks are becoming cheaper from today with the reduced Goods and Services Tax (GST) on them. •	The GST Council had decided to cut tax rates on these goods and services and exempted music books, preserved vegetables and savings bank accounts under the Jan Dhan Yojana from the Tax. •	The consumers will pay less for these items of common consumption as the incidence of GST rates on them will come down. •	The Council had rationalised the 28 per cent slab and restricted the highest slab to luxury, demerit, and sin goods, besides cement, large screen TV, Air Conditioners and dishwashers. •	The GST Council has also decided to slash tax rate on parts and accessories for the carriages for disabled persons from 28 per cent to 5 per cent. Also third party insurance premium of goods carrying vehicles has been reduced from 18 per cent to 12 per cent. •	The other items which will attract lower GST rate of 5 per cent include marble rubble, natural cork, walking stick, fly ash blocks. •	Music books and vegetables (uncooked or cooked by steaming or boiling in water), frozen, branded and put in an unit container and vegetables provisionally preserved but unsuitable in that state for immediate consumption have been exempted from GST. •	Services supplied by banks to basic savings bank deposit account holders under the Jan Dhan Yojana will not attract the GST. •	Air travel of pilgrims by non-scheduled/charter operations being facilitated by the government under bilateral arrangements will attract a lower GST rate of 5 per cent. •	GST on movie tickets costing up to Rs 100 has been cut to 12 per cent, from 18 per cent. Also tickets over Rs 100 will attract 18 per cent GST, against 28 per cent earlier. •	Monitors and TV screens up to 32 inches and power banks will attract 18 per cent GST, as against 28 per cent earlier. •	The seventh tranche of electoral bonds sale began. It will continue till 10th of this month. •	The State Bank of India, SBI has been authorised to issue and encash Electoral Bonds through its 29 Authorised Branches. •	Electoral bonds are being pitched as an alternative to cash donations made to political parties as part of efforts to bring transparency in political funding. •	Electoral bonds aggregating to One Thousand Fifty Seven Crore rupees were purchased by citizens or entities till the completion of sixth phase of issuance of electoral bonds in November 2018. •	The 29 specified SBI branches are in cities like New Delhi, Gandhinagar, Patna, Chandigarh, Bengaluru, Bhopal, Mumbai, Jaipur, Lucknow, Chennai, Kolkata and Guwahati. •	The government had notified the Electoral Bond Scheme in January last year and the sale of first batch of electoral bonds took place in March 2018. •	As per provisions of the scheme, electoral bonds may be purchased by a person, who is a citizen of India or entities incorporated or established in India. •	Registered political parties that have secured not less than one per cent of the votes polled in the last election of the Lok Sabha or legislative assembly will be eligible to receive electoral bonds. An electoral bond will be valid for 15 days from the date of issue. No payment would be made to any payee political party if the bond is deposited after expiry of the validity period. •	Qatar will cease to be a member of the Organisation of the Petroleum Exporting Countries (OPEC). •	The country had sent an official notification to the OPEC expressing its wish to pull out and to focus on its liquefied natural gas production in December. •	The decision came amid the ongoing diplomatic and economic blockade imposed on the country by its Persian Gulf neighbours and several Arab states. •	These countries accuse Doha of supporting terrorism and interfering in their internal affairs. Qatar has strongly refuted these allegations. •	The Central Government notified the commencement of Section 247 (relating to valuers) of the Companies Act, 2013 with effect from 18thOctober, 2017. It also notified the Companies (Registered Valuers and Valuation) Rules, 2017 on 18thOctober, 2017. •	The Central Government, vide a notification dated 23rd October, 2017, issued the Companies (Removal of Difficulties) Second Order, 2017 to provide that valuations required under the Companies Act, 2013 shall be undertaken by a person who, having the necessary qualifications and experience, and being a valuer member of a recognised valuer organisation, is registered as a valuer with the Authority. •	Vide another notification on the same date, the Central Government delegated its powers and functions under section 247 of the Companies Act, 2013 to the Insolvency and Bankruptcy Board of India (IBBI) and specified the IBBI as the Authority under the Companies (Registered Valuers and Valuation) Rules, 2017. •	The Companies (Registered Valuers and Valuation) Rules, 2017, as amended, require that only a person registered with the IBBI as a registered valuer can conduct valuations required under the Companies Act, 2013 and the Insolvency and Bankruptcy Code, 2016 with effect from 1stFebruary, 2019. •	Subject to meeting other requirements, an individual is eligible to be a registered valuer, if he (i) is a fit and proper person, (ii) has the necessary qualification and experience, (iii) is a valuer member of a RVO, (iv) has completed a recognised educational course as member of a RVO, and (v) has passed the valuation examination conducted by the IBBI, and (vi) is recommended by the RVO for registration as a valuer. •	A partnership entity or a company is also eligible for registration subject to meeting the requirements. A person, who is rendering valuation services under the Companies Act, 2013, may continue to do so without a certificate of registration up to 31stJanuary, 2019. •	In pursuance of the Rule 5 (3) of the Companies (Registered Valuers and Valuation) Rules, 2017, the IBBI, being the Authority, had published thesyllabus, format and frequency of the Valuation Examination for the Asset Class of ‘Securitiesor Financial Assets’ on 30thDecember, 2017 and for the Asset Classes of (a) Land and Building, and (b) Plant and Machinery on 31st December, 2017 and has been conducting examination since 31st March, 2018. 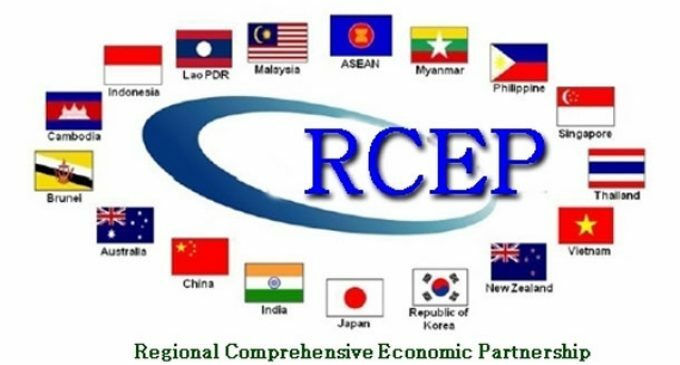 •	The Regional Comprehensive Economic Partnership (RCEP), which is a proposed Free Trade Agreement between ten ASEAN member states and their six Free Trade Agreement (FTA) partners namely India, Australia, China, Japan, New Zealand and Republic of Korea, is expected to provide market access for India’s goods and services exports and encourage greater investments and technology into India. •	It would also facilitate India’s MSMEs to effectively integrate into the regional value and supply chains. •	On the other hand, India is not a member of the Asia-Pacific Economic Co-operation (APEC) which is a grouping of twenty-one countries in the Asia Pacific region with an aim to deepen and strengthen economic and technological cooperation amongst APEC member countries. •	Lebanon`s Finance Minister said that the heavily indebted country is approaching a financial crisis, as political deadlock continues. •	Nearly eight months since parliamentary elections, Prime Minister-designate Saad al-Hariri has been unable to form a new government that can deliver fiscal reform. •	With the world’s third-highest ratio of debt to GDP, Lebanon has endured years of weak economic growth. •	It was urged by the International Monetary Fund this year to carry out urgent measures to put public finances back on a sustainable footing. •	The Eight Core Industries comprise 40.27 per cent of the weight of items included in the Index of Industrial Production (IIP). The combined Index of Eight Core Industries stood at 128.5 in November, 2018, which was 3.5per centhigheras compared to the index of November, 2017. Its cumulative growth during April to November, 2018-19was 5.1per cent. •	Coal production (weight: 10.33per cent)increased by 3.7 per cent in November, 2018 over November, 2017. Its cumulative index increased by 9.0 per centduring April to November, 2018-19over corresponding period of the previous year. •	Crude Oil production (weight: 8.98per cent) declinedby 3.5 per cent in November, 2018 over November, 2017. Its cumulative index declined by 3.6 per centduring April to November, 2018-19over the corresponding period of previous year. •	The Natural Gas production (weight: 6.88per cent) increased by 0.5per cent in November, 2018 over November, 2017. Its cumulative index declined by 0.7 per centduring April to November, 2018-19 over the corresponding period of previous year. 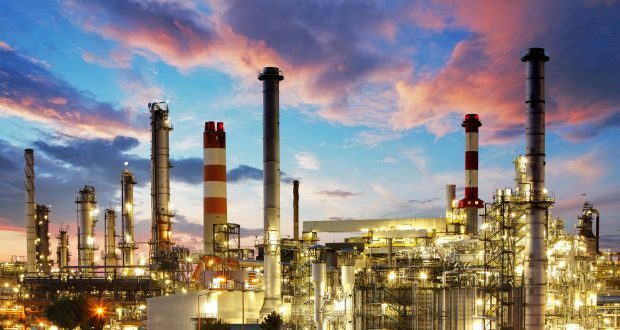 •	Petroleum Refinery production (weight: 28.04per cent) increased by 2.3 per cent in November, 2018 over November, 2017. Its cumulative index increased by 5.3 per centduring Aprilto November, 2018-19over the corresponding period of previous year. •	Fertilizers production (weight: 2.63 per cent) declined by 8.1 per cent in November, 2018 over November, 2017. Its cumulative index declined by 1.3 per centduring April to November, 2018-19 over the corresponding period of previous year. •	Steel production (weight: 17.92per cent)increasedby 6.0 per cent in November, 2018 over November, 2017. Its cumulative index increased by 3.7per centduring April to November, 2018-19 over the corresponding period of previous year. •	Cement production (weight: 5.37per cent) increasedby 8.8per cent in November, 2018over November, 2017. Its cumulative index increased by 14.2per centduring April to November, 2018-19over the corresponding period of previous year. •	Electricity generation (weight: 19.85per cent) increased by5.4 per centin November, 2018over November, 2017. Its cumulative indexincreased by6.7per cent duringApril to November, 2018-19over the corresponding period of previous year.